Queso with chorizo verde and hand-made tortillas. 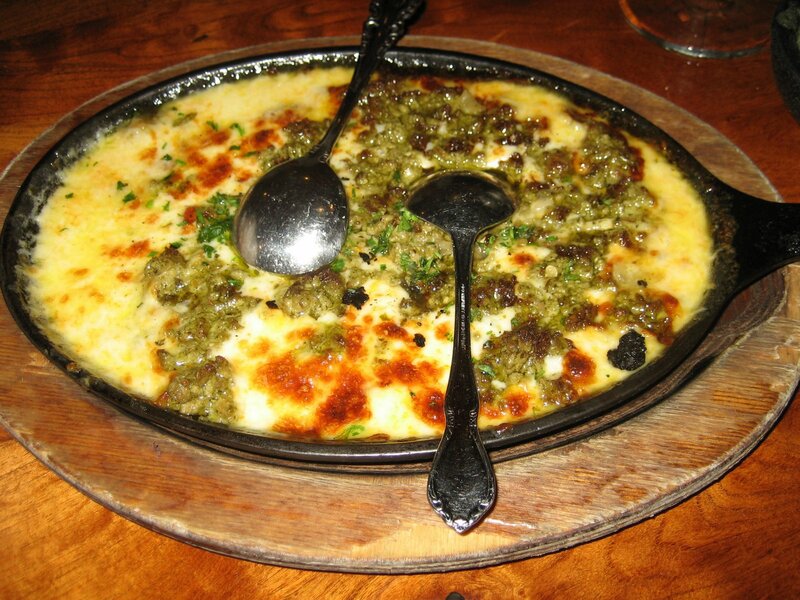 What sets this queso apart from others, is the large chunks of tender and flavorful chorizo. It complemented the thick and rich queso perfectly. Don’t try to scoop it up with a chip, because it will break! Try it with the tortillas and your mouth will be in heaven. 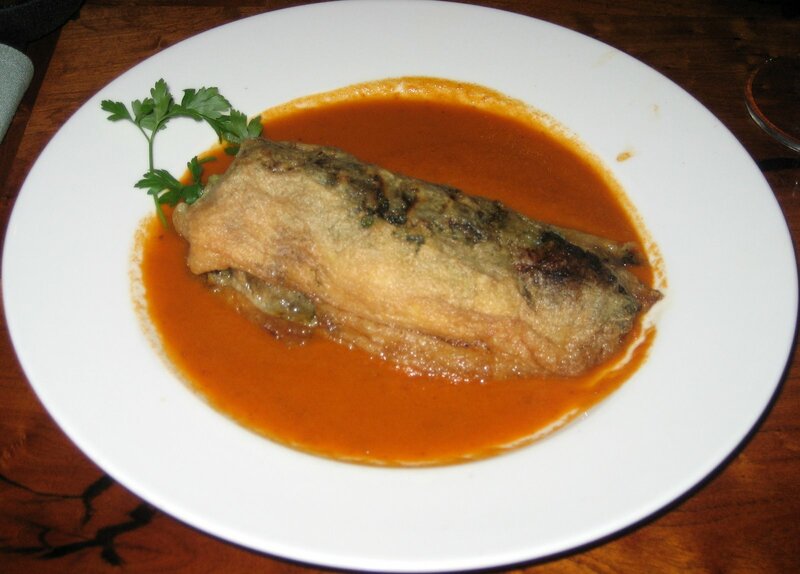 Roasted poblano stuffed with shredded pork, almonds and raisins. Served with a Jitomate (tomato) sauce. This dish sounds much better than it really was. 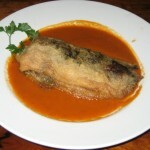 The tomato sauce was thin and bland and made the relleno completely watery. The pork was cooked well, but it wasn’t flavorful. There weren’t enough raisins and almonds either. There was very little substance to this dish and had no distinctive flavors. 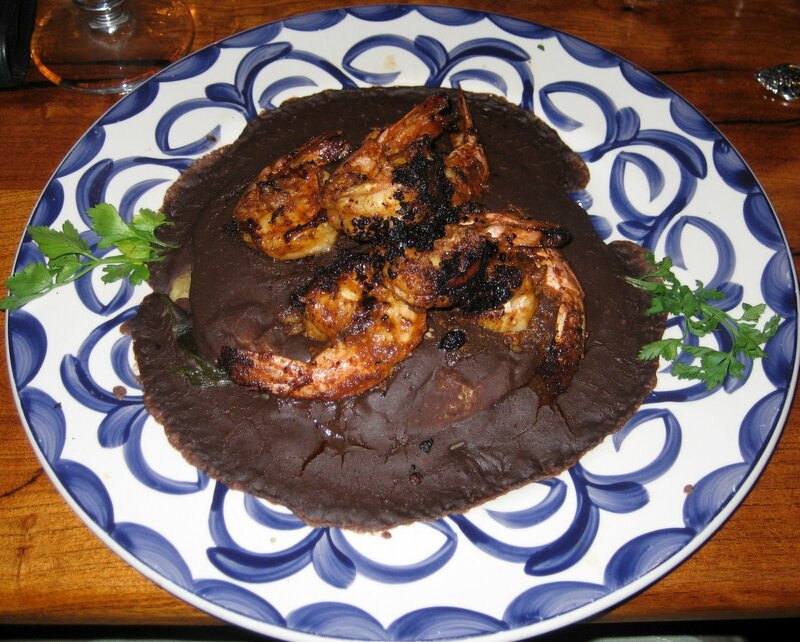 Adobe-crusted shrimp placed over corn tortillas filled with rajas and served with a chipotle-black bean sauce. We had high hopes for this dish but were disappointed again (Just look at that unappetizing photo!). First the good – The shrimp was large and very flavorful. It was blackened to give it that excellent grilled flavor. I’m no foodie (ok I am), but does that look like a black bean SAUCE? This “sauce” was just dry black bean paste in a layer covering the tortillas. A sauce would imply that: 1) it is viscous 2) has more than one ingredient. Luckily, I had a full bowl of salsa to douse the dish with so I wouldn’t choke. With this addition, it was actually a pretty tasty and hearty dish, however we have to rate it for what it really is. 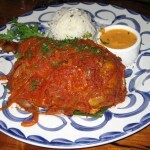 Yucatan specialty of achiote-seasoned chicken baked in banana leaf. Finally, a dish that was flavorful and a good texture! 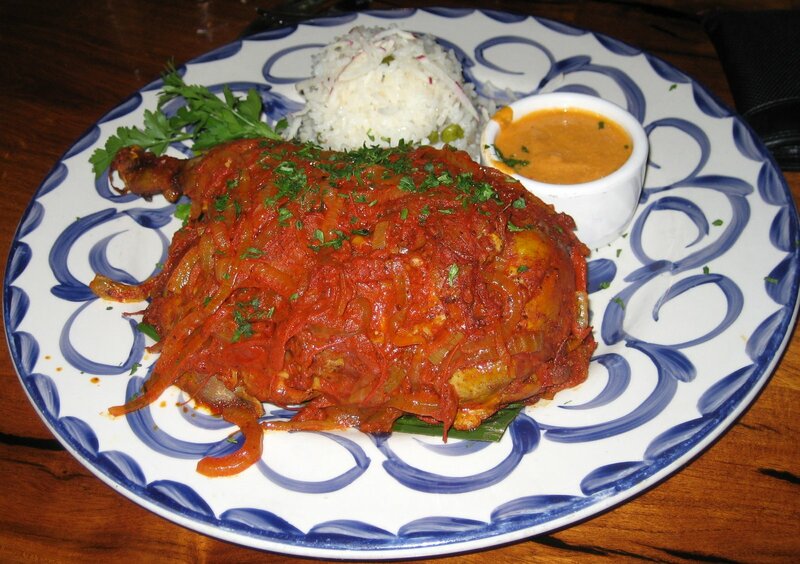 The achiote seasoning was one-dimensional yet tasty, and actually absorbed through all layers of the chicken nicely. Often times, the flavor is only the surface so we were pleasantly surprised. The chicken was moist and fell off the bone and the onions were a nice addition. 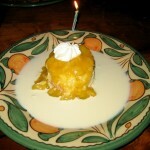 Traditional Mexican cake made with three sweet creams. This one was OK, but it won’t rock your socks. It didn’t have the addictive quality that a tres leches should have (probably because it wasn’t sweet enough). 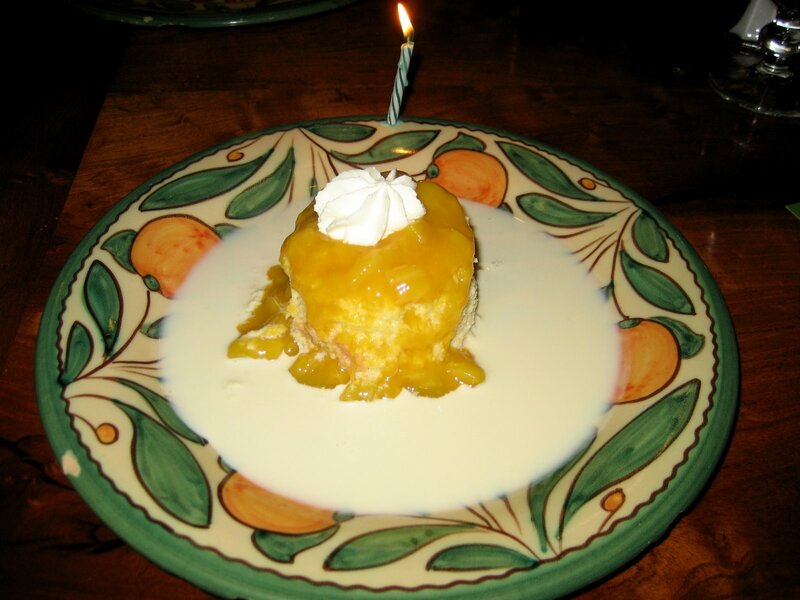 Hands-down, the best tres leches in town is at Hula Hut. 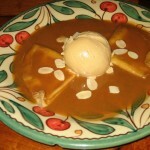 Crepes sauced with a rich goat milk caramel and toasted almonds. 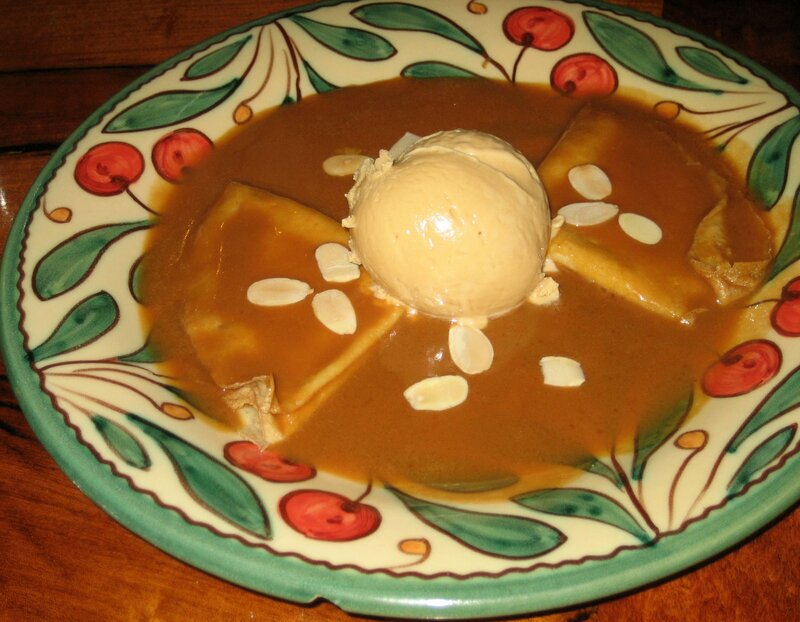 Served with our cajeta ice cream. 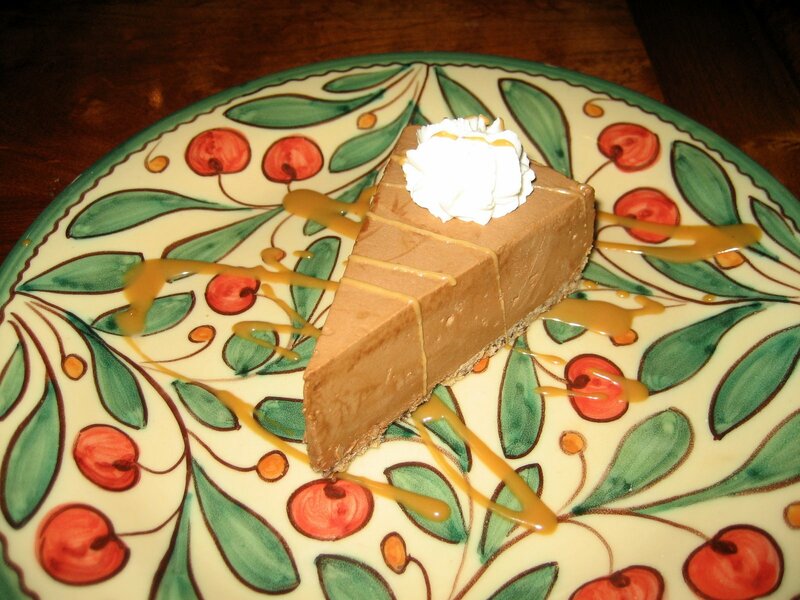 The caramel is savory and delicious but this dessert does not have too much else going for it. It is basically an empty crepe flooded with caramel. We’d pass on this one. 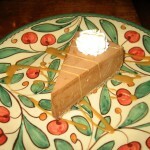 The slice of coffee toffee torte was dense and tasted equally of coffee and toffee. The waiter said it was his favorite dessert so we thought we’d try it. It was a little dry, and would have been better a la mode. Still, a solid dessert if you like mocha coffee flavored cakes. 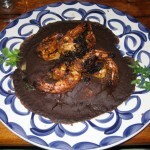 We dined at Fonda San Miguel on a busy Friday night. We made reservations in advance so our group was taken to our table as soon as we arrived. This restaurant was packed and the entire staff was running around like chickens with their head cut off. It felt like they were more concerned about turnover than making their customers feel comfortable and relaxed. Our waiter was knowledgeable about the menu and made some good recommendations. Our waters were refilled religiously the first half of the meal but that soon came to a screeching halt. For the latter part of our meal we felt neglected. It also took a long time for the bill to come out, and he forgot to bring back out some our leftovers. Overall, the service was OK but could have been much better. Fonda San Miguel is located in central Austin off of Burnet Rd. At nighttime, the outside is unassuming and very difficult to find, but the inside is a completely different story. The hacienda-style architecture and decor of the restaurant is unique and unparalleled for a Mexican eatery in Austin. The interior features imported huge hand-carved wooden doors, artwork from renowned Mexican artists, and large trees. There are multiple seating areas including the main and private dining rooms, and bar. Parking in their lot is limited, but street-parking is available. The restaurant is good for couples and groups. Even though we weren’t impressed by their food (or prices), you might want to come grab a drink and check out the ambiance. I disagree about the comment of the Pollo Pibli having flavor throughout. The grilled onions that are served on top of the chicken have a decent amount of flavor but nothing too special . It is not spicy as it may lead you to believe but the sauce served on the side compensates for it. Once you’ve eaten the onions, the chicken thigh was about as special as any other very simply grilled piece of meat. Very little flavor in the meat itself and leaves a almost mushy bland taste in the mouth due to the tenderness. Overall an OK dish but I was not impressed with any of the food there other than the salsa.